The Nantucket Key West Look … you can have it, too. 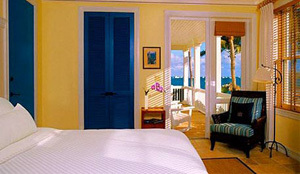 Interior designer Robert Searle described the Sunset Key Guest Cottages in Key West as “eclectic.” They offer a stylish take on coastal comfort, with expansive and primarily white living areas warmed by natural fibers and punched up with hits of island colour. The perfect base for any coastal chic room is the perfect white. A cool white channels a crisp New England vibe, while warm off-whites create more of a tropical vibe. The paint meisters at Ralph Lauren Home nail white like no one else. (And they’re not too shabby on the complementary island-y jewel tones, either, if you’re looking for a warm and welcoming yellow, like the one pictured above). Go to rlhome.polo.com to see the palette. A sisal, sea grass or jute rug is a fast and easy way to give your home an organic, natural element. A canvas binding will give the piece a clean, finished look. IKEA’s classic Egeby rug comes in different sizes and has a non-slip latex backing for safety.